Do you want prospects to call you when they’re ready…like REALLY ready… to work with you (instead of when they’re sort of fence-sitting thinking about it, only to eventually decide they’re going to wait until the timing is better)? Do you want to be able to focus most of your time and energy on hot prospects who are ready to buy and need your help now? If you’re saying yes, listen up. Recently I had a call with a REALTOR(R) who was telling me that he was great at dealing with prospects that called him and were ready to buy right now. For the others he would follow up a bit…and then if they hadn’t taken action within a month, he would lose touch. Not because he didn’t like them. Not because he didn’t want their future business. But because he was busy working with other prospects who seemed like they were more ready. And it seems that’s a pretty common habit amongst REALTORS(R) and Mortgage Brokers. 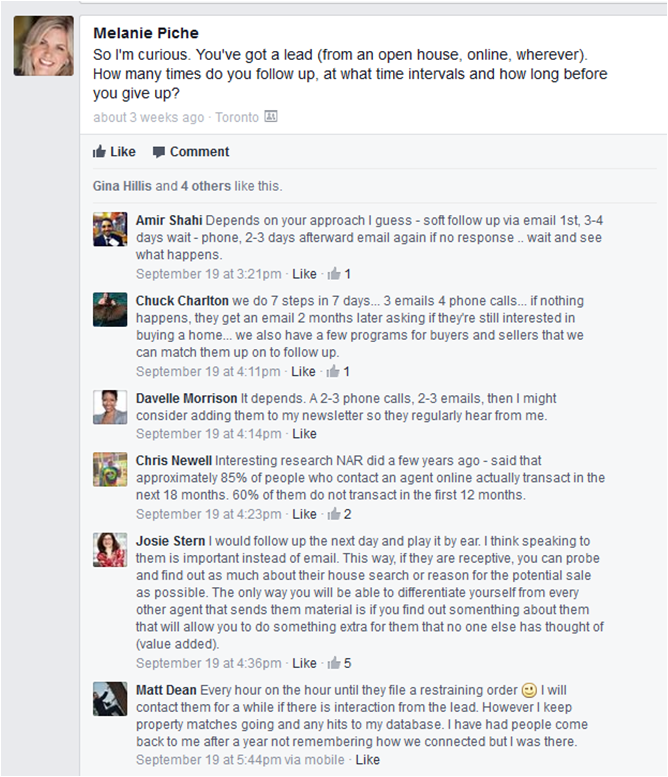 What I’m seeing in this Facebook thread is the most Agents are all hot to get in touch with prospects at the beginning…and then after a few follow ups with no serious response…the Agent will lose touch and chase the next piece of business. Now, I’m not saying you shouldn’t focus your efforts on people that are ready to buy or sell now. What I’m saying is this only works if you have an automated follow up system for those fence sitters that are interested in working with you… but aren’t ready right now. According to NAR (National Association of REALTORS), 85% of buyers will buy within 18 months of starting their research into homes and mortgages. That means if you have 20 prospects who call you in the Fall 2013 market, 16 of those prospects will have bought or sold by the the Spring 2015. If every season you get around 20 calls, within one year that’s 80 prospects. Within 18 months 64 of those prospects will have bought or sold. Let’s say that you would make $3,000 from each of these clients. Over 18 months that’s $192,000.00. That’s a lot of business. And the trick to making those prospects your clients is your follow up plan. Continuous, regular, information rich follow ups that will occasionally ask direct questions that get your prospects to respond, get in touch, and view you as their #1 resource center for information. Just like Wayne Gretzky says, “You miss 100% of the shots you don’t take”. In the lead generation world that means you lose 100% of the leads you don’t capture and follow up with. At this point most Agents and Brokers will say “Oh, I have a newsletter that I send out once a quarter”, or “I have an e-blast from my company”. If you do, that’s a great starting point. If you don’t…it’s time to get on it. But if you really want to pick up your results, build loyalty, and get awesome clients that are committed to working with you only…you need to send out your own personal, custom emails as a supplement to your company’s. Otherwise your prospects may be on 2 Agents or Brokers lists, and receive exactly the same thing. In this case, who will stand out? The one who supplements their company’s emails with their own content. So what’s your take away for today? Your Fortune is in your Follow up. 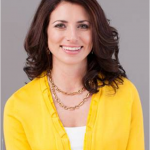 Ingrid Menninga is the founder of JOLT Marketing where her big mission is to put the heart back into the Real Estate and Mortgage industry while helping Agents & Brokers make awesome profits. Within 3 years of founding JOLT Marketing, Ingrid has carved out a spectacular success roster working with Canada’s leading Real Estate and Mortgage brands with clients from RE/MAX, Royal LePage, Dominion Lending Centres, Verico, Street Capital, and more. Ingrid is frequently featured in industry journals such as REM: Canada’s Real Estate Magazine, CAAMP’s Mortgage Journal, at speaking engagements for RE-Bar Camps, InMan’s Agent ReBoot, CMP’s The Mortgage Summit and in Sales Seminars for leading industry organizations such as IMBA(Independent Mortgage Brokers Association of Ontario). Summertime is the perfect time to leave the office behind, head out to a patio, and meet some new people. 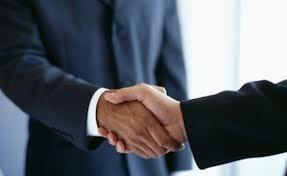 If you do this right, you will meet some great new prospects who become your lifelong clients. And if you do this wrong, you could end up attending event, after event, after event feeling totally demoralized and wondering how on earth people actually get clients from networking. 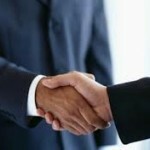 To help get you started on the right path, here are some networking tips. Find out what your new contacts interests are, why they came to the event, and what they do. They will not only ask you the same things, but by showing such an active interest in them first, they’ll feel more connected to you before you even start talking. Adam Brind, Broker of Record at Core Assets Realty built his business from networking. According to Adam “If you go to find friends, you’ll get clients. If you go to get clients, you won’t get anything”. People do not want to be sold to, and they go to networking events to connect with new people. Show up, act interested, and think how you can help your new contact out, before you ever ask for anything. You’ll be miles ahead! One of my favourite icebreakers is a compliment such as “I’ve been loving your articles in the newspaper recently” or “I love that shirt you’re wearing, I had to come over and compliment you”. It makes the other person feel great, warms them up to you, and starts your conversation on a really positive note. Tempt prospects with information teasers that gets them asking you about your business, and allow yourself to shine! There’s such a different power dynamic in networking when people are actively interested in what you do, and want to hear more about it vs. you just telling them what you do, without them being interested. When you bring a friend you’ll be less inclined to go up to new people and introduce yourself. I see it all the time at networking events…usually people that come with a “buddy” chat amongst themselves, which not only makes it extra intimidating for strangers to approach you, it also means you’re not stepping out and introducing yourself to new people. I’ve been to many, many events and there’s always a group of people that stand at the back, and wait for people to come to them. Usually nobody does, in which case you’ve gone to the networking event, and really aren’t networking. That’s ok if you wanted to hear the presentation, but if you actually wanted to meet people, you’ll need to introduce yourself. Nobody wants to go to a networking event feeling like everybody “wants” something from them. So make sure you’re not focusing on “selling” while you’re there. Instead focus on making a lasting connection. If you have any goals in mind, it should be to connect with your target market, and meet people who ask (or give permission) to be added to your prospecting database. Are you feeling stretched thin? Like you’re pulled in a million different directions and you can’t possibly do what you need to do right now, never mind stuff that will get you business in the future? If you’re nodding your head in agreement I’ve got some great news for you. You don’t have to work this hard. You’re probably working much harder than you need to, and by doing a million different things, you’re actually working against yourself. That’s right…the more different things you add on to your plate, the less successful they will all be. Not because you’re doing them poorly, but likely because you’re not creating the momentum you need with each activity. And when you don’t have momentum, you have a stop and start, and stop and start pattern in your business that takes a ton of time, energy, money, frustration and stress. But there’s a solution. There’s a really easy way to do less and make more money. It’s called leverage, and in this short video I give you a simple recipe for how you can stop sabotaging your own success and finally start getting awesome results from your efforts. If you LOVE the 10 different ways to use one marketing idea you’ll definitely love the 101 Free & Easy Ways to Market Your Business training program. To find out how you can start wasting $ on marketing that doesn’t work, and start becoming a marketing magician by only using high quality marketing tactics that work incredibly well & convert like crazy, click here. 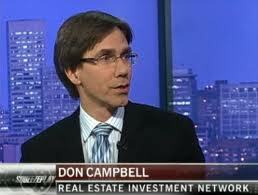 Don Campbell is the founder of REIN Canada (the Real Estate Investment Network Canada), where he is a Real Estate Educator, Researcher, Investor & Best-Selling Author of Real Estate Investing In Canada 2.0. Don is regularly featured in the Globe and Mail, BNN, CTV, CBC, and other respected media outlets in Canada, and donates 100% of his author royalties from all of his books directly to Habitat for Humanity. Recently I asked Don how REALTORS® and Mortgage Brokers can get Real Estate Investor clients, and here’s what he had to say. Q: What general advice would you give to Mortgage Brokers or REALTORS® looking for Investor clients at your events? A: There is no question what so ever as to the answer: Stand Out! Come to a networking event with answers (not a business card collection grab). You are looking for only 1 or 2 quality long term investors as they will buy multiple properties in a chosen geographic area. Have examples of quality investment properties on your Ipad (whether they are sold or not) just to show the prospect that you know what you are talking about. For Mortgage brokers it is CRITICAL to speak the language the investors are speaking and right now that is EASE of financing not rates – how are you going to get my deal financed? Q: What advice would you give them to meet prospects at your events? A: #1 Dress the part. Unfortunately at networking events, people do judge a ‘book by its cover.’ #2 come prepared to build relationship – not to push/sell. Over 21 years I have witnessed the difference and the results over the long term are like night and day. Sure the push/sell works for short term – but then you have to go push/sell again in order to eat. Become the trusted port in the storm. Q: What’s the biggest mistakes you see REALTORS and Mortgage Brokers make at your events, or with Investors in general? A: They treat them like home-buyers when the process is 180 degrees different. They don’t learn the language, don’t understand the client’s needs and they try to talk an investor into a deal. The job of a pro is to SUPPORT the vision of the investor and help it come to fruition and to achieve a level of trust where you not only get all of their transaction, you also get quality referrals. This provides realtors and mortgage brokers an opportunity to be a real information portal. Q: What’s your prediction for the Real Estate investment climate over the next 3 years? A: Over the next 3 years, real estate markets are going to continue to be very regionalized. Where in some areas of the country you will enjoy strong growth while others will remain flat or drop. This provides realtors and mortgage brokers an opportunity to be a real information portal. Consumers and investors are more informed now than ever before – the real winners in the real estate professional industries will be those who can bring calmness and clarity to mixed signals. GREAT opportunity always lies in chaos and confusion. Q: What are the big opportunities for RE investors in the next 2 years? Q: If you were a Realtor or Mortgage Broker right now, what would you do to appeal to investor clients? A: Quite simply, average and below average mortgage brokers and realtors are going to struggle. Banks are aggressively pushing independent brokers by the way side (this is just beginning), realtor’s control on ‘info’ is shrinking as consumers have increasingly more options to gain market data…. what that leaves are the Realtors and Mortgage Brokers who understand that this is a business (not a profession) and that they must pay VERY close attention to what the buyers and sellers need and want RIGHT NOW in 2013 and beyond. Old models will become obsolete and new models will emerge to match these market shifts. Great realtors and brokers are already beginning their shift to get ahead of the wave – those stuck in the past will struggle. This is a business and adaptation is where survival and growth will occur. Q: Where can Mortgage Brokers or REALTORS find out more information, and sign up to attend events? A: A great place for Agents/Brokers to tap into the big REIN network is to get involved answering questions (and becoming the calm port in the storm) at www.myREINspace.com discussion forums. Which Social Media Site Is Best for Real Estate Agents or Mortgage Brokers? “Is Vine good for Mortgage Broker Marketing? Last week I made this short video where I let you know which social media site is the clear winner, and why it will be for years to come. As a bonus I also share the #1 secret in your social media strategy for Real Estate Agents or Mortgage Brokers that will determine if you will get leads and make money from social media. Are You Choosing Fear or Success? When you see mega-successful Agents and Brokers do you ever wonder how they KEEP on getting more and more successful? How are they effortlessly getting tons of new mortgage leads or real estate leads? How do they keep on getting lots of great clients? How are they making more and more money every year? Want to know their secret? They are choosing to be successful. Success is a choice. A choice that’s available to everyone. But without knowing it, you may be choosing fear. Watch this short video to find out what you’re choosing, and how to make sure you’re always choosing success. 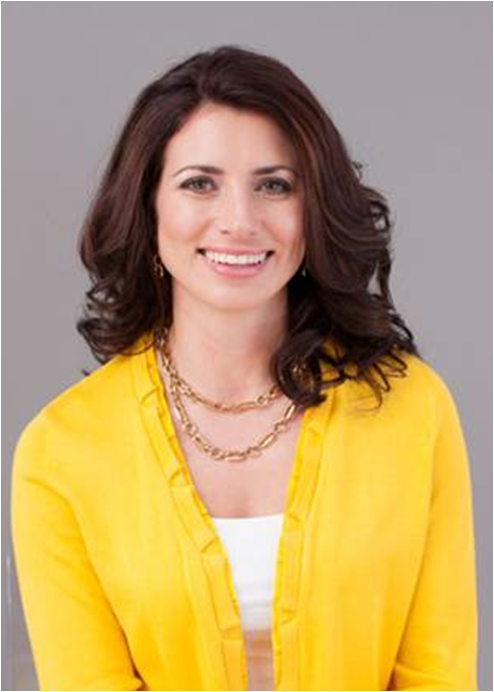 Ingrid Menninga has xray vision for carving out marketing opportunities and the creativity to convert them into gold! Ingrid delivers high impact, low cost, customized marketing strategies for turbo-charging entrepreneurs and small business owners to great profits. After 12 years of working with legendary companies such as Carlson Marketing Group, Pizza Pizza, Invis Mortgages, and Royal LePage Canada, she left corporate Canada to launch JOLT Marketing. In just 3 short years after starting JOLT Marketing, Ingrid has carved out a spectacular success roster working with Canada’s leading Real Estate and Mortgage brands such as Slavens Real Estate, GWL Realty Advisors, Mortgage Architects, Dominion Lending Centres, and Oriana Financial, to the tune of delivering a 250% increase in sales and participation on average. Having achieved high accolades for skyrocketing sales for countless companies, Sales Agents and budding Entrepreneurs with high profit marketing campaigns, Ingrid is frequently asked to share her expertise in industry journals such as Canada’s Real Estate Magazine – REM, at speaking engagements for RE-Bar Camps and InMan’s Agent ReBoot, and in Sales Seminars for industry organizations such as IMBA (Independent Mortgage Brokers Association of Ontario) and other leading industry organizations. 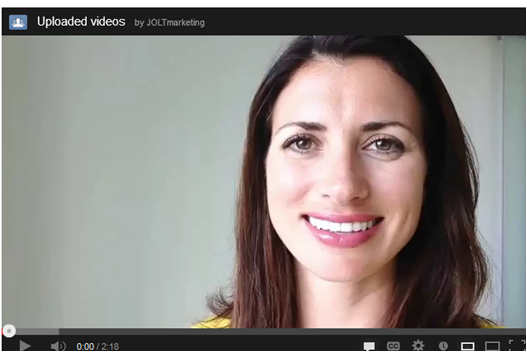 Today’s video focuses on online lead generation and is the final video in the 3 part series on How to Lose a Lead. Here’s the cold, hard, truth. We all know that the vast majority of home buyers search online for properties and mortgage information way before they ever pick up the phone and call you. For the VAST majority of you, you’re not collecting these online visitors as prospects. You’re missing them altogether. In this weeks video I share with you a secret that you can use to capture online leads and make sure that you never miss out on a prospect again. The reality is, if you’re missing out on prospects, you’re not only getting less leads than you should be getting, you’re also making way less money than you should be. Click the video above to Play this video and find out if you’re letting online leads slip away and what you should be doing instead. Today’s video is Part Two of a 3 part series that focuses on one of the biggest mistakes Realtors and Mortgage Brokers make that costs them lots of business. We all know that social media can be a great lead generator. We also know it often outranks our websites when we google our names. So what happens when someone finds you on Facebook , twitter or any other social media site? Do you make it easy for them (and collect the lead) or are you missing opportunities and losing leads. This weeks lead generation tip is inspired by real life, and is Part One in a 3 Part series on the Easiest Way to Lose a Lead. Everyday I receive emails from REALTORS(R) and Mortgage Brokers, and there is one absolutely critical thing missing from most emails. It’s so easy I hope this video inspires you to check all email accounts from all devices right after you watch this video and then share this video on facebook! What’s missing from most emails is a phone number where a prospect, client or referral partner can call you. Yes, you may have a fancy nice HTML designed email signature that automatically gets added to your email when you send messages from your desktop…but what happens when you use your Blackberry or ipad? Is that signature still there? Often times it is not. What happens when your phone number is missing is that you miss out on big opportunities for your prospects or clients to call you up and ask you questions…which of course is your golden opportunity to build a relationship, build trust and win their business (or more referrals from them!). Watch this video to find out all the places you should have your phone number, and what the real consequence is of not having it. (Click play to watch the video). Worried that you’ll come off as too “salesy” and “pushy” when you’re trying to generate Mortgage leads or Real Estate Leads? Wish that people would just come to you instead of you chasing them? 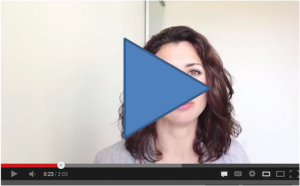 There’s a solution to all this – Permission Marketing! That’s right, when you treat prospects & clients with respect, and get their permission to stay in touch with your e-newsletter, you will in turn earn their respect, gain their attention, and build their trust. Since you actually care about what your clients and prospects think, your consideration will be rewarded with better quality leads, better quality clients and a more enjoyable business overall. 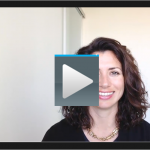 Permission Marketing is every Honest Agents/Brokers huge (untapped) advantage. Using this strategy will get you far more loyal clients, more engaged prospects, higher end referral partners, and build a more rewarding, highly profitable business. Permission Marketing ensures that you’re building your business, staying connected, and keeping in touch with people that have expressed serious interest in working with you. Of all the REALTORS(R) and Mortgage Brokers I know that are building a rock solid, ethical, and incredibly lucrative business, they’re all using Permission Marketing to promote and grow their businesses.